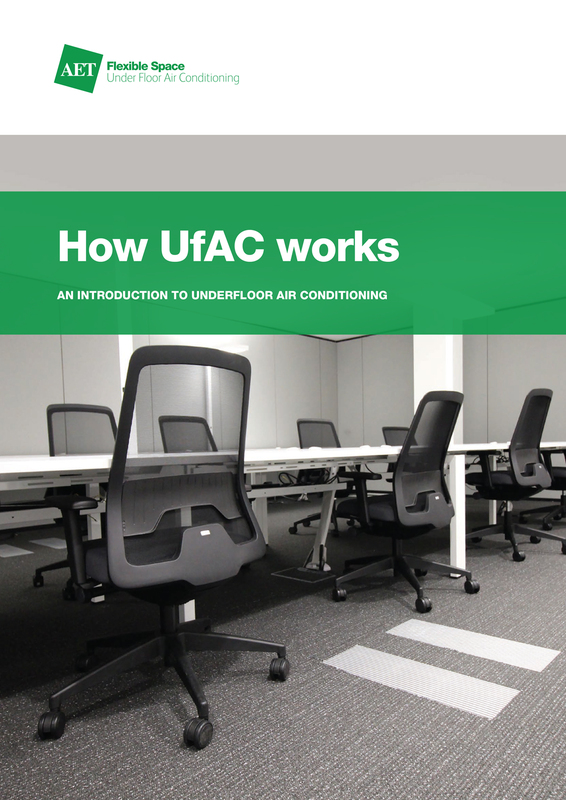 Underfloor air conditioning (UFAC) systems make use of the space beneath a raised access floor to create the air ventilation zone, eliminating the need for ceiling-based services and associated duct and pipework. There are a number of benefits to using UFAC, including greater design freedom, having a single system for both heating and cooling, reduced maintenance and maximising the use of space. Eliminating ceiling-based services and ductwork can reduce building height by around 10% in new build projects and increase floor-to-ceiling heights in restricted spaces, helping to achieve British Council for Offices recommended standards. AET provides a range of flexible and modular UFAC systems, including standard and bespoke hybrid configurations. This ebook includes a product overview of the CAM-C system, a fully underfloor design ideal for maximising headroom in height-restricted buildings, and the CAM-V system, which allows complete freedom to maximise a floor plate. It also includes a look at fan terminal units and accessories, such as raised access floors, air grilles and acoustic attenuators, as well as the different controls available, including the touchscreen, wall-mounted Flextouch, which controls fan speeds and monitors CO2, and the Flexmatic, which offers visual access and control of CAMs. Finally, the ebook includes a look at selected projects in the UK, Europe, Africa and Asia.